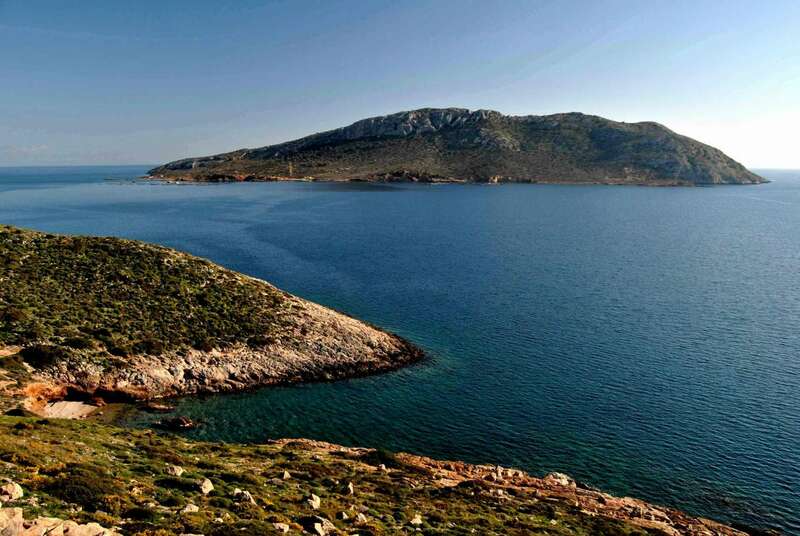 A culturally and historically rich 643 acre Greek isle close to Athens, Patroklos has been coveted by investors for years. The North-Northeast side of the island is flat, reasonably passable, with soil suitable for cultivation. It has 5,050 olive trees, pine trees and a number of dense bushy areas. About 150 goats owned by the family graze on the island. The northern section covers approximately 275 acres of cultivable land, the remainder being rocky, with green-hued marble. 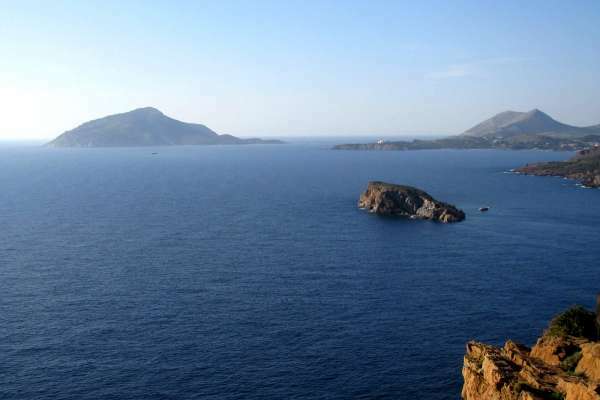 The island's climate is mild and pleasant throughout the year. Two small piers service the island, allowing small crafts to berth. One is on the North-Northwest side and towards the area of the guards' quarters and the second is situated on the North-Northeast side. The beaches are large and sandy with unpolluted waters rich in fish, due to the sea currents in this region. 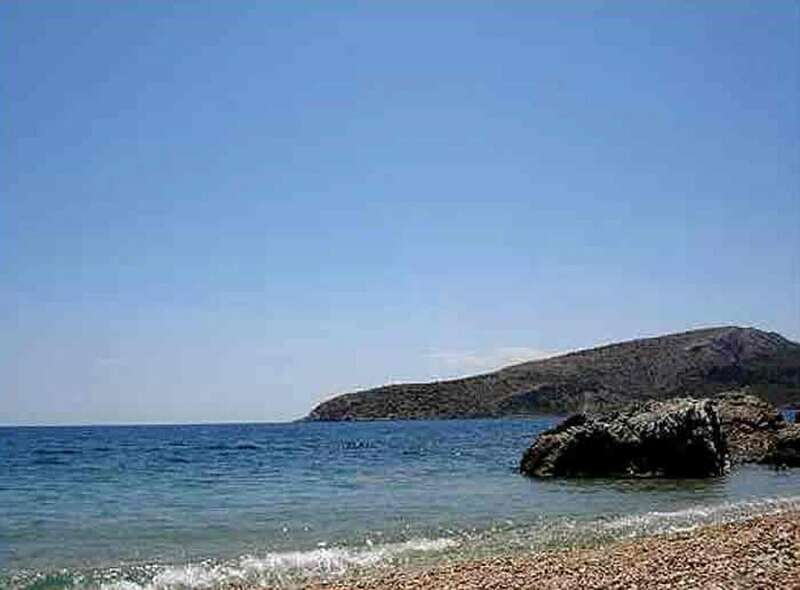 The island is approximately twenty-five (25) minutes from the Athens Eleftherios Venizelos International Airport and ten (10) minutes from the actual Touristic Port of LAVRION, after the transfer from Piraeus. The island can be reached by road both via the Athens-Sounio coast Road and via Attiki Avenue - Lavrio Avenue. There are no factories, industries, cemeteries, swamps, stagnant waters, etc. 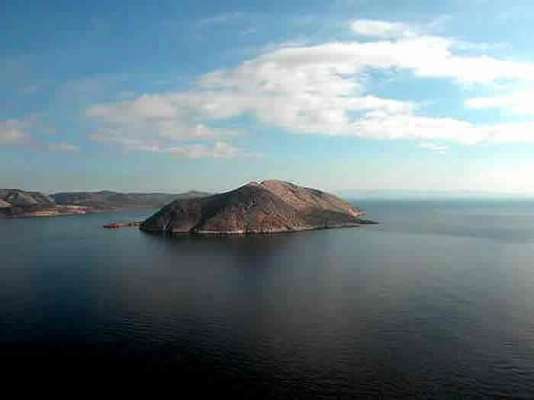 situated near the island. 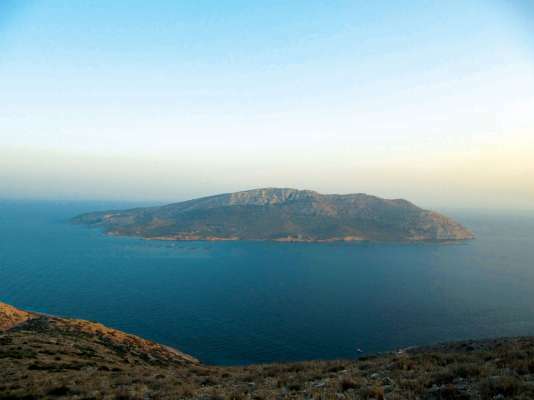 At the moment, the island is considered the most exploitable and developable area of Greece and especially Athens, because of the combination of the Athens International Airport and Touristic Port sort distance and the fact of its being locality being in the most archeological area of Athens. A general hospital and all other necessary facilities are also in a very convenient distance from the property. 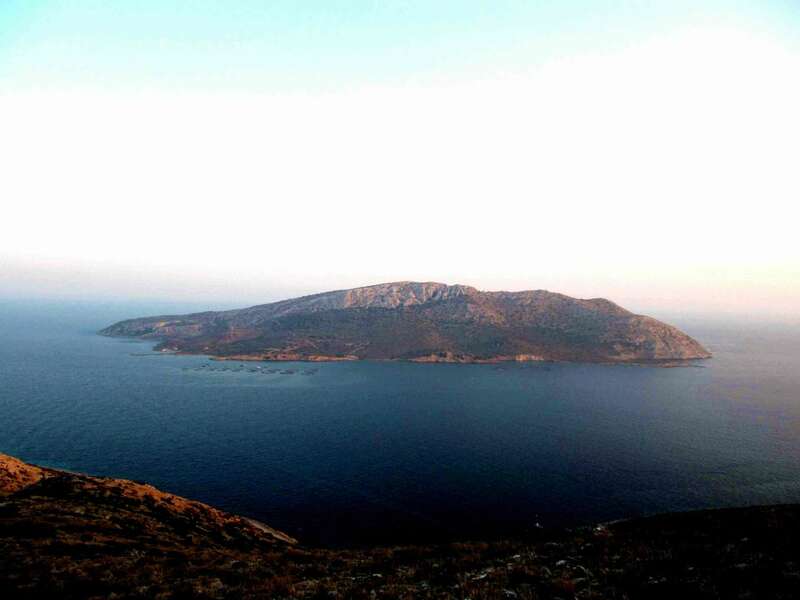 The island of Patroklos or Gaidouronissi is relatively well-known due to its close proximity to Sounion where it occupies a "front-row seat" as well as through the publicity raised by the recent shipping accident which brought it into the forefront both by the press and the by the radio and TV stations. 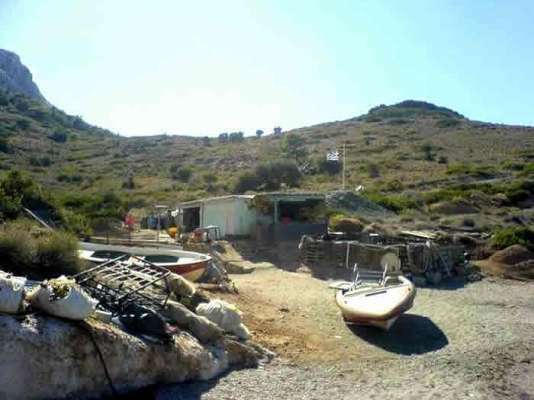 Currently, there are four small buildings (50 – 70 sq m) on the island with permissions in place. The owners of the property expect to construct 2 more residences of 200 square meters each, once they will obtain the permission after the application they have already submit to the relevant ministry. Projects based on mild development-upon the relevant licenses approval-match perfectly with the natural environment of the island, although the possibilities and options are many. 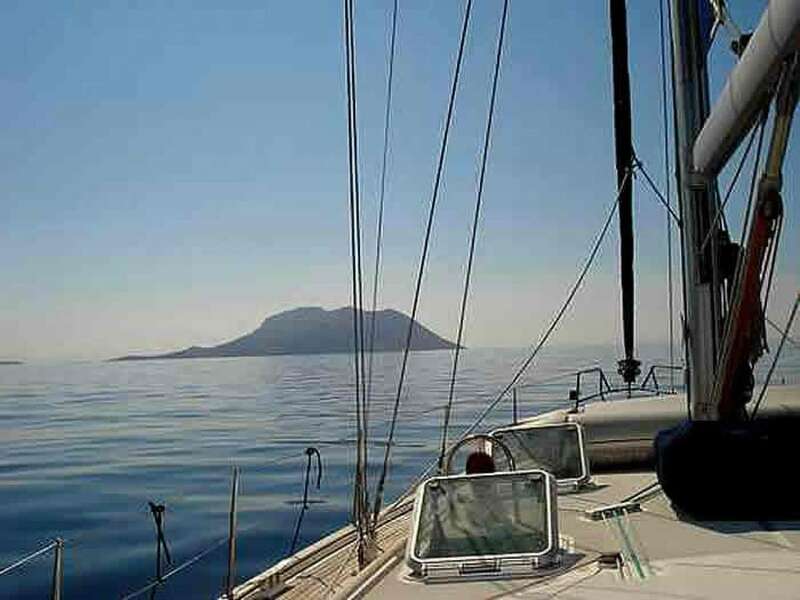 Especially now, according to the new legislations and provisions of the Greek Law concerning Strategic Investments, the well known bureaucracy has been avoid and the approval of the necessary licenses can be obtained easily. The Investment Law provides for an efficient institutional framework for all investors and speeds the approval process for pending, approved investment projects. This Law 4146/2013 “Creation of a Development Friendly Environment for Strategic and Private Investments” of the Ministry for Development, Competitiveness, Infrastructure, Transport and Networks, aims at modernizing and improving the institutional framework for private investments, subject to investment laws. For the purposes of the implementation of the provisions of this Law, Strategic Investments shall be construed as those productive investments which generate quantitative (i.e. budget, employment positions) and qualitative (i.e. development of tourism, the promotion of innovation, protection of the environment, etc) results of major significance for the national economy overall, and which facilitate the country's exit from the economic crisis. It is underlined that the owners commit themselves to support, facilitate and make possible for the potential buyer to obtain the necessary licenses before the final transfer of the property and the ownership. This can happen only if the scope of the project of the investor(s) is clearly stated and well known by them. With respect to the water supply, since Lavrio area is connected to the Mornos water system and this central pipe runs parallel to the Athens-Sounio Road and is only about 1,500 meters from the island, it is possible to supply the island with water from the National Water network and the cost would be relatively small. There is always available a direct solution by using desalination plants. The same applies to Public Utilities (Public Power Corp. - DEI) and telephone lines (Greek Telecommunication Organization - OTE), whose central networks run nearby.